A monk and a priest at the Lebanese Maronite Monastery. Holder of a Doctorate in Musicology from the Paris IV Sorbonne University, a Masters Degree in Business Administration from HEC Montreal Canada, and a Diploma in Philosophy and Theology from the USEK University – Kaslik. 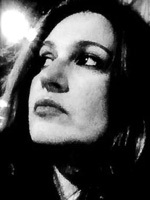 Lecturer Professor at USEK- Kaslik and USJ – Beirut. 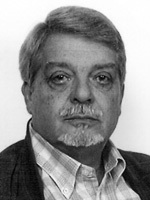 Has authored numerous publications and research papers on Lebanese Music as well as Syriac Liturgical Music. 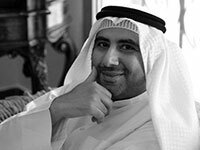 A researcher in Ethnomusicology, Ahmad al-Salhi holds a Bachelor’s degree from the “High Institute of Musical Arts” in Kuwait (2008) where he worked as a teacher after his graduation, and a Masters degree in Ethnomusicology from the “Durham University” in the United Kingdom (2012). 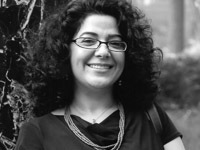 Al-Salhi is currently a PhD student at the “Royal Holloway College, University of London” in the United Kingdom. Subject: “Excellence in Singing the Ṣawt”. He is a talented kamān and ‘ūd player specializing in Classical Arabic and Turkish Music, and is among the performers specializing in ṣawt in Kuwait and the Arab Gulf. 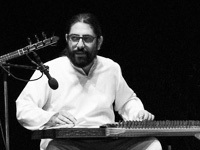 He has presented numerous broadcast shows including “Al-ṣawt wa-ruwwāduh”, “Anghām sharqiyya”, and “Bayn maqāmayn”, and founded one of the first websites dedicated to Classical Arabic Music, www.zeryab.com, that contains a significant collection of rare recordings dating back to the early 20th century. 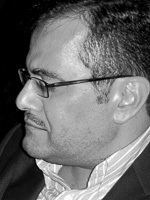 Ahmad al-Salhi is a member of the “Oxford Maqam” Musical Ensemble that mostly performs dawr and muwashshaḥ. Doctor in Dentistry at the Faculty of Dentistry at USJ – Beirut, holder of a Masters Degree in Dentistry from the Lebanese University. Lecturer Professor at the Lebanese University and the USJ – Beirut. Social activist and animator in the social field. Has authored many research studies in the medical and health fields. Works in his private clinic. Managing Director of the « Consultation and Research Institute » (CRI) . He has supervised and coordinated a wide range of studies and projects covering social and economic issues, for local and international entities in both private and public sectors. He contributed as consultant to many researches conducted by institutions related to the United Nations and the World Bank. Born in Tripoli Lebanon; He works as a consultant engineer and professor/director of the Building Services and sustainable Engineering program at the University of Central Lancashire in England. 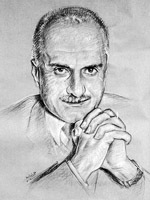 Retired General of the Lebanese Army. Amateur musician. Studied ‘Ud playing at the Lebanese National Higher Conservatory of Music – Beirut. His rural upbringing yielded an inclination towards literature at first, as he believed music only dwelled in the City. 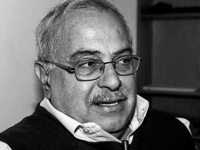 His published books include: “Al-Haram” (the musical journey of Nur al Huda between Lebanon and Egypt), “Ebarati” (contemplations) “Al Mezrab” (short stories). Has a Master’s degree in Engineering Management from the American University of Beirut. She’s a big enthusiast for musical projects and has participated in AMAR’s development since its inception. She lives in Dubai. 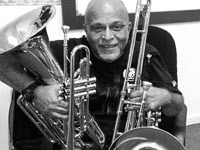 Holds a diploma (1988) from the college for musical education in Cairo, specializing in Trumpet. Since 1988 works as a professeur of brass instruments in UAE. 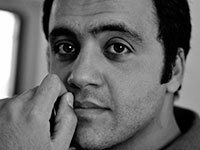 Tarek Atoui is born in Lebanon in 1980 and moved to France in 1998 where he studied sound art and electro-acoustic music. 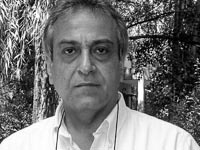 He has presented work internationally including the 9th Sharjah Biennial, United Arab Emirates (2009); the New Museum of Contemporary Art, New York (2010); La Maison Rouge, Paris (2010); the Mediacity Biennial, Seoul (2010), Haus Der Kunst, Munich (2010), Performa 11, NYC (2011) and dOCUMENTA (13) (2012). Mireille is an artist. She finished her BA at the Ecole Speciale des Beaux Arts, and her diplome d’etudes superieures in arts studies from the Sorbonne in Paris. Painting and music are the corner stone of her artistic research. Musician and musicologist. Qanun professinal player and teacher of Qanun and music with Antonine University. He participates in several concerts, conferences and workshops. He is a member of “ASIL” Musical Group and had recorded with Asil many CDs. Musician and sound engineer. Reponsible at AMAR for digitizing and archiving. 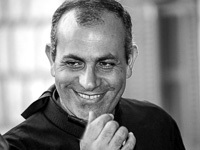 Usama Abd al-Fattah is a Lebanese musician born in Akkar – North Lebanon who started his musical learning at the “Lebanese National Higher Conservatory of Music” in 1998. He holds a Master’s degree in Music Education from the “Lebanese University” (2005) and a Bachelor’s degree in Traditional Oriental Arab ‘ūd Playing from the “Higher Institute of Music – Antonine University” (2007). 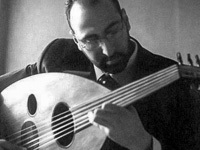 Usama Abd al-Fattah launched his musical activity in 2003 by co-founding the “Arab Musical Heritage Ensemble” with his schoolfellows. 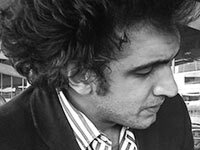 He gave many concerts with “André Hajj’s ‘ūd Quartet” in Beirut and has played in some of the works of the “Asil Ensemble for Arab Classical Contemporary Music” since 2007. Usama has given several concerts across France since 2010 with the “Nahas Project Grand Ensemble” and its founder, diatonic button accordion player Sebastien Bertrand, and did many workshops on ‘ūd and Arab Traditional Music. His repertoire includes a number of traditional and contemporary ‘ūd pieces that he performs in his solo concerts. Today, he is resuming his musical learning through his work as a Documentalist / Archivist and Sound Engineer at AMAR.